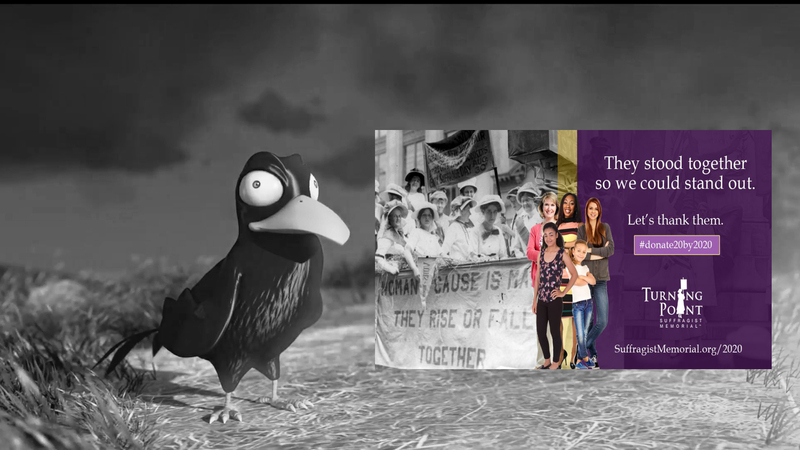 “They stood together so we could stand out,” Turning Point Suffragist Memorial! Support Turning Point Suffragist Memorial—the fundraising for the suffragist memorial proposed for Lorton, Virginia. Work is underway. The plan is to open the memorial by 2020 when American women will have been voting for 100 years. The suffragist memorial is the only commemorative institution of its type. It is important as a symbol to keep the goal of equality alive. And keep supporting Suffrage Centennials as we chug along! This entry was posted on November 10, 2018, in Blog and tagged Inez Milholland, suffrage centennials, Turning Point Suffrage Memorial. Bookmark the permalink. ← 125 years of New Zealand women voting! The 2018 Women’s March— What are you doing in 2019?